Fix color codes for mumbai rail now now or everyone else will suffer. There is an immediate need to assign color codes to the existing railway lines. This will create a system that will avoid confusion when new lines are added to the network. But before we discuss the decision to fix colors for the rail network, let us understand the function / purpose of color in the map. To begin with, color eases map reading. Use of color at the transfer stations makes way-finding more efficient. A color coded system to identify lines, both on the map and at the railway stations, helps the rail network to expand in an organized manner. 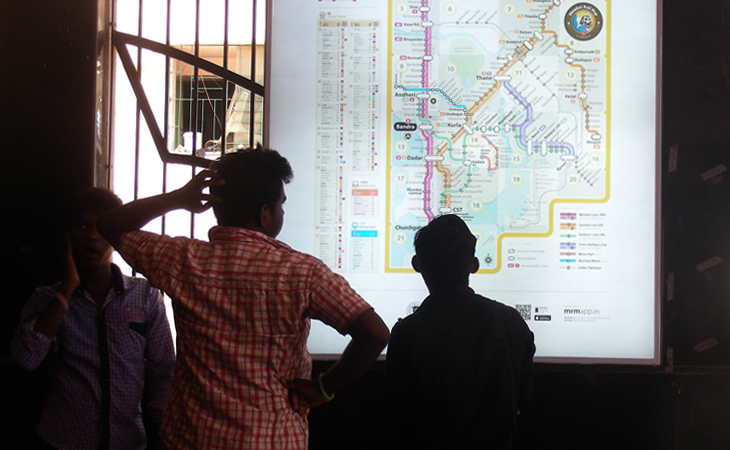 The Mumbai Rail Map has seven rail lines and uses seven different colors to represent them. What is the use of having each line in a different color? Is it really helpful? In the MRM map the pink and blue lines are distinct objects and are never confused with each other even though they intersect. Similarly, green and pink lines are identifiable as distinct objects even though they move parallel to each other (see Fig. 1). This proves, color is useful to differentiate between distinct objects on the map. Any solution without color coding seems difficult to digest. Fig. 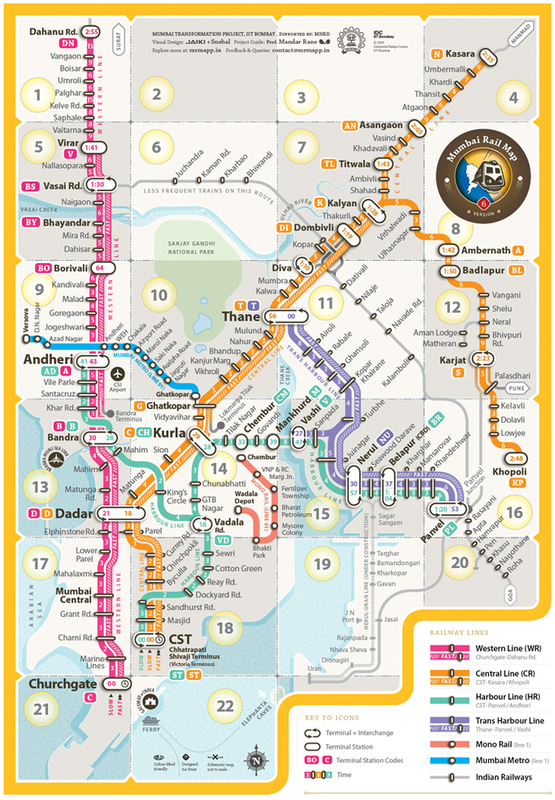 1: This is the Mumbai Rail Map. Can you imagine what would happen if all the lines were in the same color? 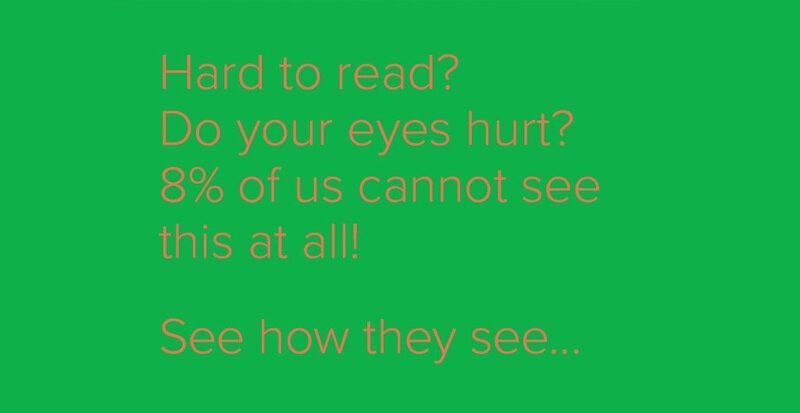 Scroll down to see. Color coding lines helps the user perceive continuity of lines at intersections. Here we use color to reinforce similarity. For example, at Andheri station, the Metro line intersects the Western line (see box 9 in the Fig. 1). It is easy to know that the Western line continues under the Metro line because it is in a different color than the Metro line. Had the lines been of the same color it would have created confusion between the two. Fig. 2: Do monochromatic lines create confusion at transfer stations? Which map do you find more usable? Similarly at Ghatkopar Station, the Central line continues towards Khopoli or Kasara and the Metro line goes towards Versova (box 10 & 14 in Fig. 1). This is made visible in one glance through color differentiation between the two lines, blue and orange. Had this distinction not been there it would have appeared that the train from CST on the Central line can go to three possible destinations, i.e. Khopoli, Kasara or Versova. The beginning and end of the lines are clearly identifiable due to the use of different colors. If all lines are monochrome then the user may assume that it is a homogenous network, whereas in reality it is a network of seven lines operating independent of each other (see Fig. 2). It will be difficult for the user to identify transfer stations and therefore changeover points while planning a journey. Thus, using different colors for lines helps distinguish between the branching, intersection and direction of lines. If we somehow color code stations, in accordance with line color, will it help in navigation? If we use distinct colors it avoids confusion at junctions where two lines intersect. Color is used as a differentiating factor between lines as well as in establishing continuity of the line. For example, Western and Harbour lines pass through Andheri station. Each line has dedicated platforms to it, 1-5 for Western line and 6 and 7 for Harbour line. Presently, commuters rely on public knowledge, and reconfirm the information by asking co-passengers. This leads to loss of time. If platform signages are somehow color coded, eg. platforms, 1-5 in pink, 6 and 7 in green, (which is not costly to implement). Lines thus can be identified faster and from a greater distance, making it language independent thereby increasing the efficiency with which the crowds navigate. 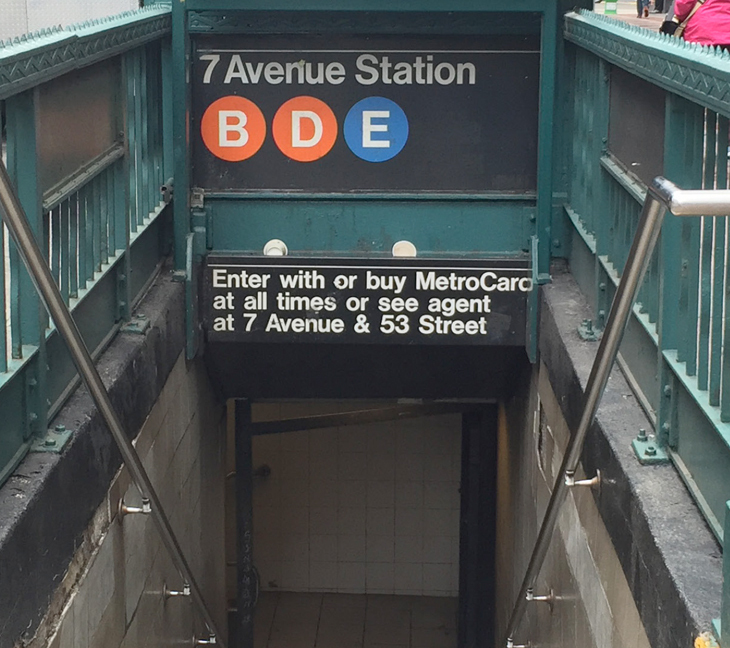 Image 1: Entrance to a New York Subway station showing three trains B,D and E that travel on the Orange and Blue lines. One can know the lines passing through the station from the color codes of the station. Image 1 shows one of the entrances to 7 Avenue Station of the New York Subway. The three colored circles immediately tell the commuter of the three different routes that pass through the station, two trains B and D on the Orange line and train E on the Blue line. Use of color at the stations continuously reinforces the current location of the user and helps reduce anxiety while travelling. 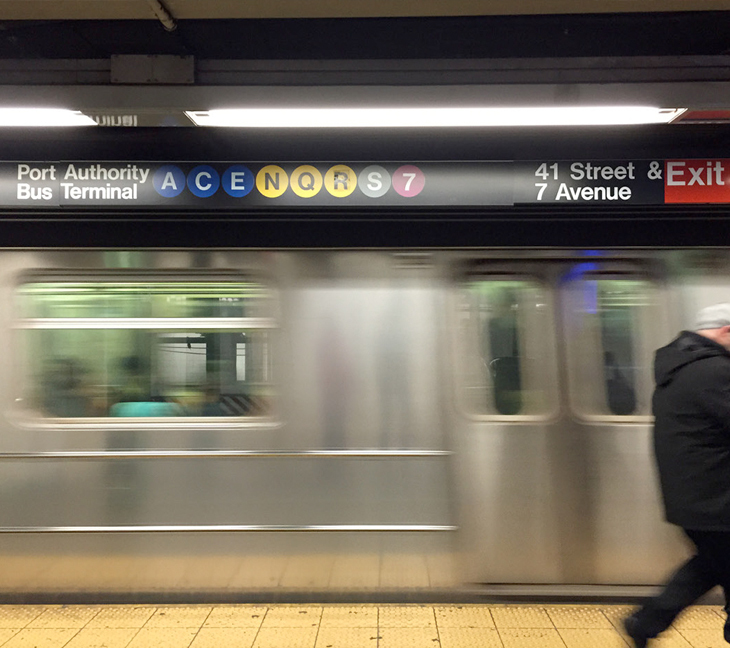 Image 2 shows a signage at one of the platforms on 7 Avenue Station in New York. The signage clearly informs the user that it is a transfer station from where he can change for blue, yellow, grey and pink lines. What will happen when the number of lines increase? How will they be identified? 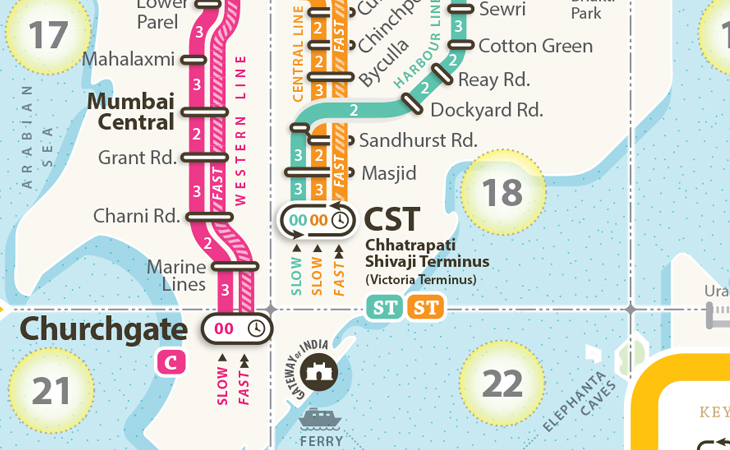 The rail lines in Mumbai already have names such as Western, Central and Harbour. 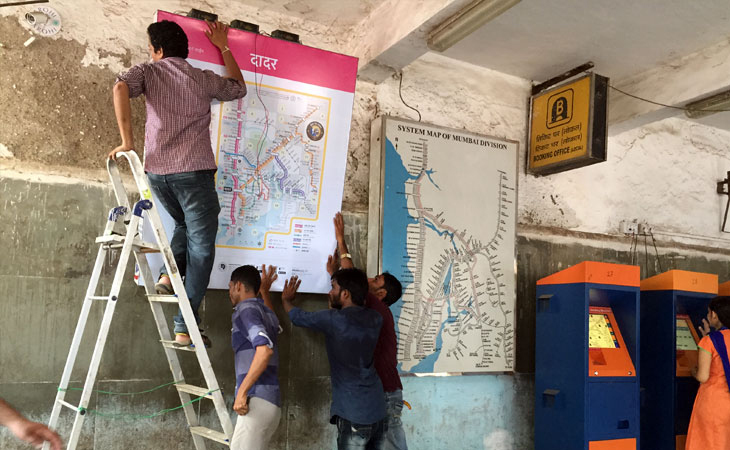 Presently, the Metro line runs along the Ghatkopar-Versova Corridor, but will such naming be convenient when more lines intersect and the network becomes complex? World over Metro systems use colors, number or alphabets to form an overall system of identification of lines. This organizes the network and systematizes the future additions to the transport system. Suppose we use alphabets to identify lines? Consider we assign the letter A to the Western line. The current naming of lines is so well established that ‘Western’ will not be discarded from the name. The line may come to be identified as Western Line A. This implies that there also exists a Western Line B. Which is not the case. Naming Western Line using the letter W will also not work because logically Central Line will have to be assigned the letter C. However, railways already uses letters to denote station termination codes, Capital ‘C’ denotes Kurla on Central Line and Churchgate on Western Line. Image 2: Colors are used to indicate lines on the New York Subway stations. Trains A, C & E run on the Blue line and N,Q & R run on the Yellow line. Identifying lines with numbers is a better option, but we will face similar problems. If we assign Western Line the number 1, Central Line the number 2, they will soon become known as Western Line 1 and Central Line 2, suggesting that there are more than one Western and Central Lines. By assigning color to a line we create an association with the line. Using color as a qualitative attribute, we are complementing the existing name of the line. Western line may come to be known as Western (Pink) Line and Central as Central (Orange) Line. This does not change the identity of the existing lines and allows new lines to be added and identified easily on the network. We strike a fine balance of not losing the name of the line which is a habit for daily commuters, but also introduce the line color which will help everybody in the future. Fig 3: The color blind friendly line colors of the Mumbai Rail Map integrate the Local, Metro and Mono Rail networks into a single coherent system. We understand how color is indispensable, both in the map and at stations. But what is the urgency to fix colors of the existing lines? It is evident that the rail network of Mumbai will grow. New Metro and Mono lines will be added in the near future. All Metro systems across the world use colors to identify lines and Metro and Mono no doubt will follow suit. But if each rail network thinks of itself as an individual entity and takes independent decisions for color coding of lines, we will all struggle to achieve a single, easy to understand rail route map for the city. 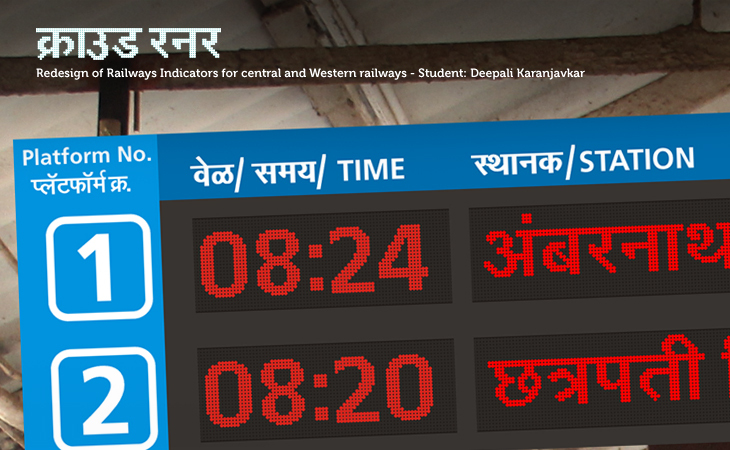 How the current name boards at the Mumbai railway stations should be designed. A suggestion.